As a TRIO student, staff or alumni you can be one of the most powerful agents for advocacy of the TRIO programs in Washington State. All it takes is a bit of knowledge, some time and energy and your commitment to supporting the work that TRIO provides. Check out the information below for more about how you can become involved in the process! Attend the Washington State Civic Leadership Conference Each Spring, the Washington State Association coordinates and hosts a day of civic leadership and advocacy for high school and college students in Olympia, Washington. Get a group of students together and attend this event to learn more about how you can impact the TRIO programs and garner support from your state representatives. Contact Your Representatives A great way to get involved is to contact your representatives directly via email or phone. Write letters and opinion editorials to give insight into the perspective of students who have or are benefiting from TRIO programs. Click here for more information and tips on contacting your representatives. Meet with your Representatives To set up an appointment with your Legislator/s, the following is recommended: 1. Go to the Visiting the Legislature webpage 2. 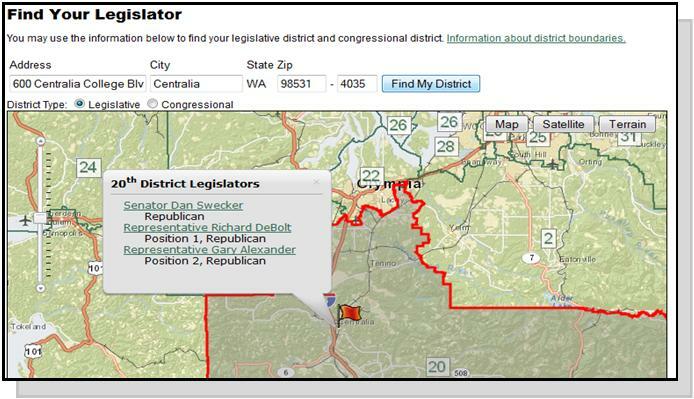 Click on the Find Your Legislator link in the left hand column and enter your school’s address. If you would like to visit more than one legislator, check the appropriate box. You may also send each legislator a separate request if you wish to meet with them individually. 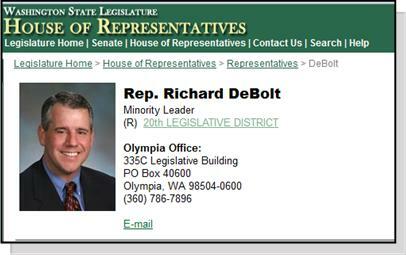 In the subject line, enter “Date/Time Visit Request” The following is a sample letter you may use for your request: Dear (legislator’s name), On Wednesday, February 8 the Washington State TRIO Association is hosting their eighth annual Student Civic Leadership Conference in Olympia. The purpose of this conference is for students to develop leadership skills, become familiar with their legislators and the legislative process and inform Legislators about the importance and value of the TRIO programs in Washington State. I would like to request a short 10-15 minute visit with you on that day between 12:00 and 3:30pm. Approximately 8-10 students will participate in this visit, accompanied by their TRiO Director. It would be a wonderful opportunity for our students to meet with you as your schedule allows. Sincerely, (Your name & title) Please reply to: (Your email address and phone number) Form A Civic Engagement Group Get involved in your community by bringing a group of TRIO students together! Civic engagement is also about knowing what is happening in your local community and addressing the needs you see. Download the guides linked here (coming soon) to get started and make a difference in your community!